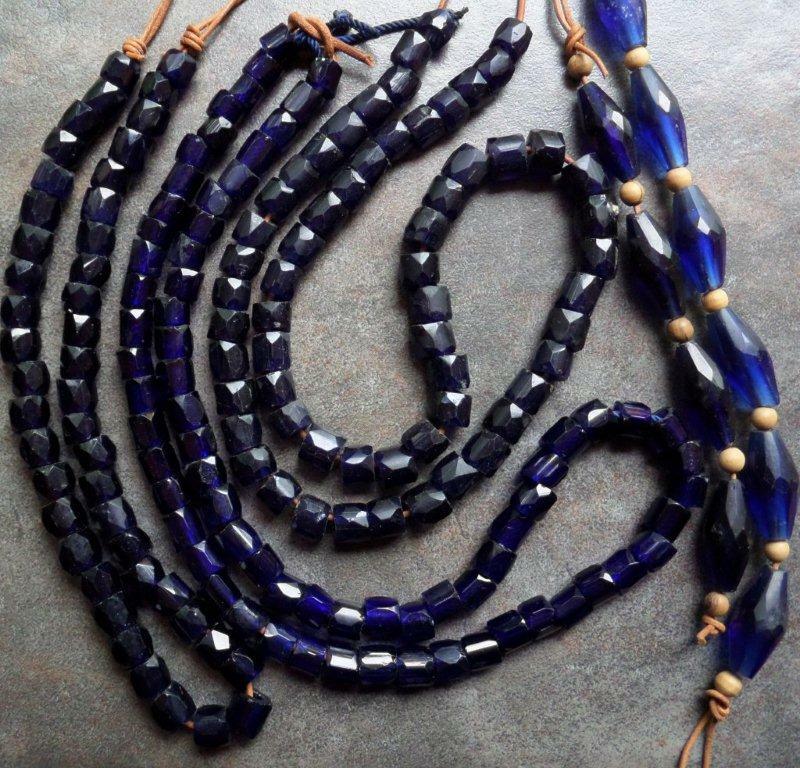 Sorting through my collection of trade beads recently, I observed that the very largest of my so-called "Russian" trade beads all have 7 sides. 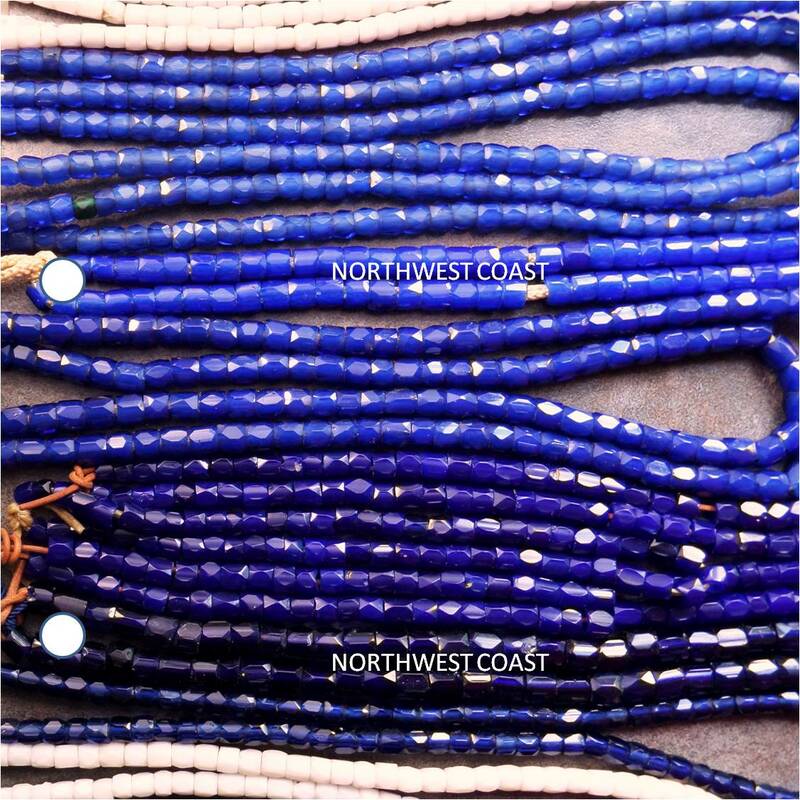 Beads of this type were used in the 19th century slave trade as well as in the North American fur trade, particularly in the Pacific Northwest. 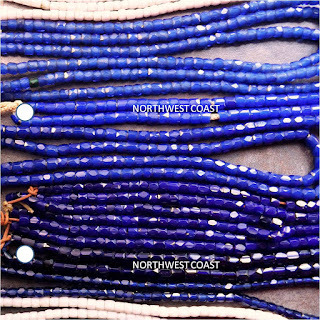 Beads probably from the African trade, from the Pacific Northwest, and from the African trade. About 13x13mm in size. The upper strands are transparent uniform dark cobalt blue, the lower lighter blue strand has 3 layers of glass. 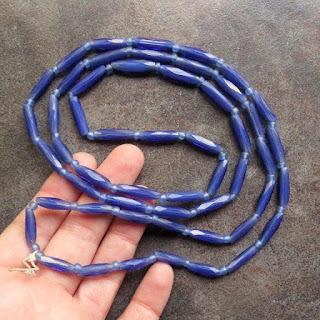 The light blue strand displays glass decomposition, most likely from burial in earth, and was collected in Africa by Michael Heide. 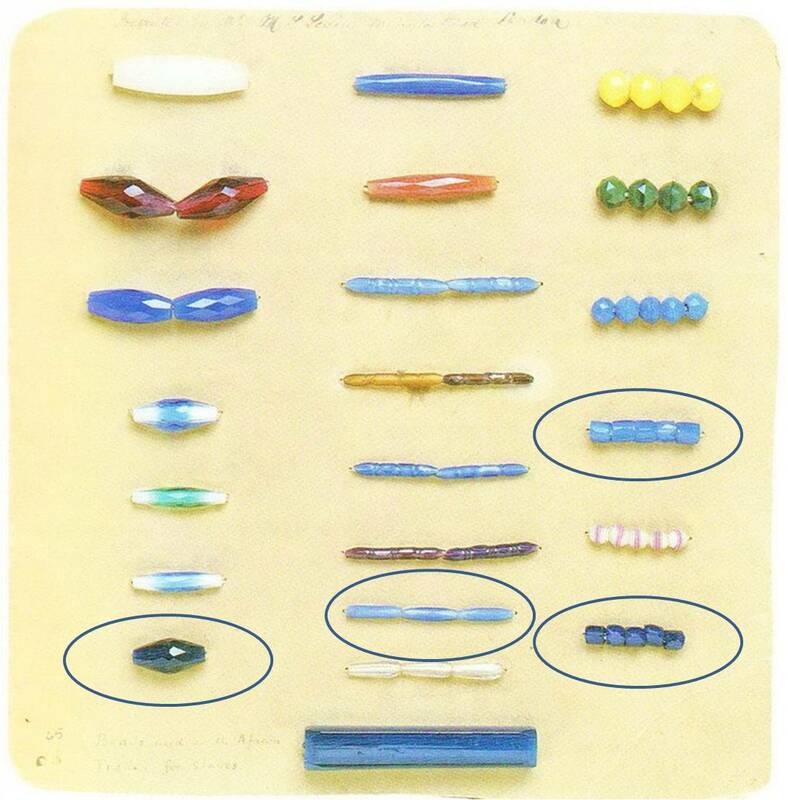 Beads closely resembling the long beads on the right appear on a 19th century sample card in the British Museum with a hand-written label, "Beads used in the African Trade for Slaves." Dark blue beads similar to the strands on the left also appear in the right column of the sample card, but are smaller and have 6 sides. 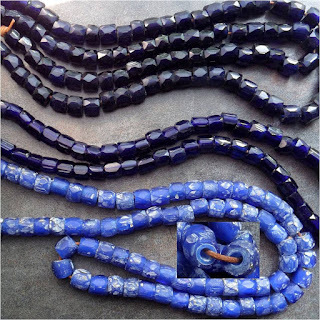 There's a fair amount of bead collector lore about these beads, including the usual heavy crust of confusion and misinformation that accumulates around antique objects. So I did an internet trawl, and collected my notes and pictures into a Powerpoint document, available as a PDF for those interested. This isn't a spiffily formatted presentation, but perhaps you will find it informative, as it contains pointers to books and online documents with in-depth research. Those interested in extensive pictures of the varieties of these "Russian" beads can find an awesome online exhibit at the Picard Museum. UPDATE: Found an online version of the British Museum Levin cards at ezakwantu.com. 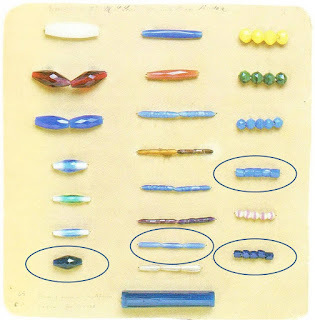 I've circled the beads resembling those discussed above. We've gotten great information from your efforts.